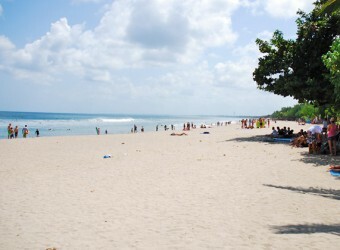 It is a popular spot in Kuta area, Kuta Beach. There are many tourists, local people, and surfers every day. Kuta Beach is also famous as a surfing point, and surfing school for beginners is held. Moreover, you can see beautiful sunset from the beach, so you should visit there in evening. There are many nightspots near the beach, so people stay there until morning.